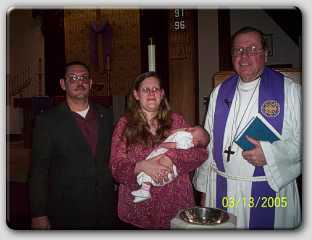 This was my baptism. I'm with Mommy, Daddy, and Pastor O'Connor. 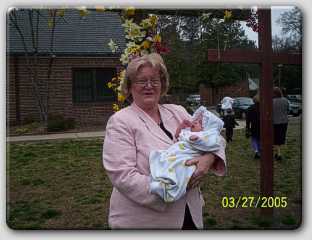 I was 6 weeks old when I was baptized. I slept through the whole thing! 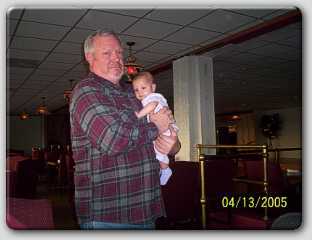 This is my great uncle Buster! 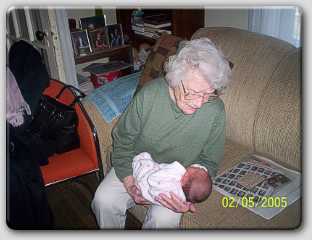 This is my Great-Granny holding me. 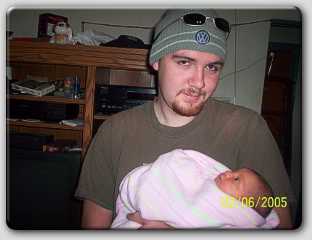 I was only three days old! Mom's side of the family! 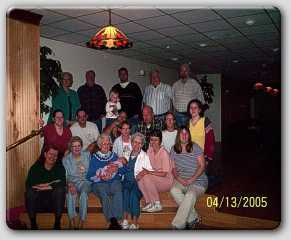 Here are Mommy, Daddy, Grandma, Great-Granny, my great-uncles and aunts, and cousins, all at my Great-Granny's 90th birthday! 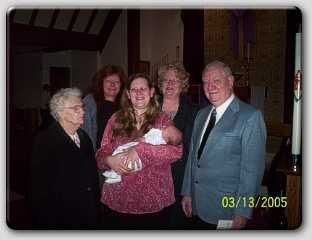 This is my Mom, Grandma, Great-Granny, Great-Aunt Martha, and Grandpa. 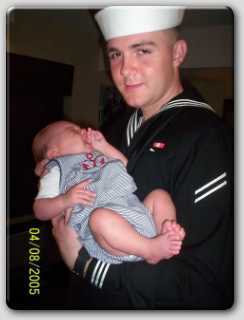 This is my big brother, Bryan. He's really proud of me! I know I'll have plenty of protection in the future! 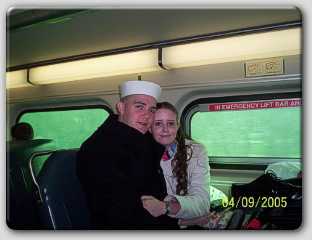 This is my big brother and his new wife Melissa. They just got married May 7th! Congratulations! 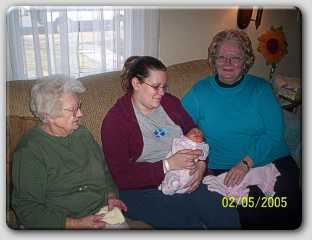 Here are my Mom, Grandma, Great-Granny, and me. 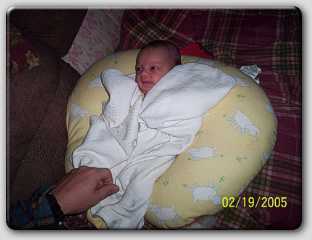 I was three days old in this picture! 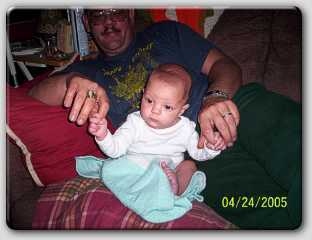 Here I am sitting up with Daddy! This is the most recent pic of me! Here's Daddy and Wolfie-dog! 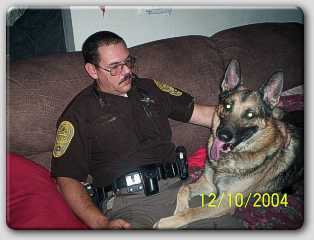 Daddy's a Deputy Sheriff in Norfolk, VA. He works at the local jail. Here's Mommy and her best friend from work, Auntie Sonya. 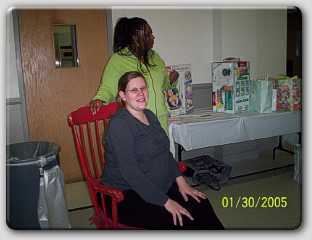 She gave Mommy her baby shower just three days before I was born! Thanks Auntie Sonia! 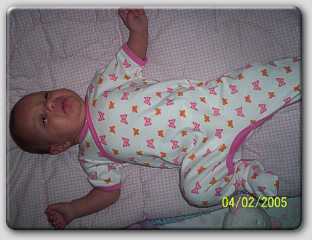 Here I am in my Yite Bub onesie! I love it! If you would like to see the Yite Bub products, click on my picture. Here are my uncle and aunt Nathan and Jill. 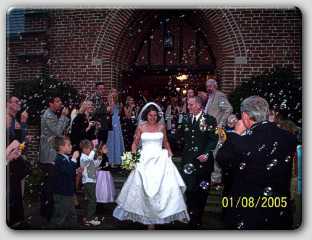 They got married January 8, 2005. Mommy asked them to be my Godparents and they accepted! I haven't been able to meet them yet, but hopefully I will soon! 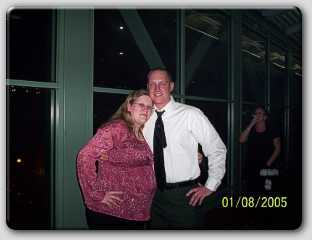 Here's Mommy and her brother Nathan, my uncle and godfather! This was at his wedding reception!